When asked why he started a brewery, Mikael Dugge Engström replied: “maybe I was just stupid. 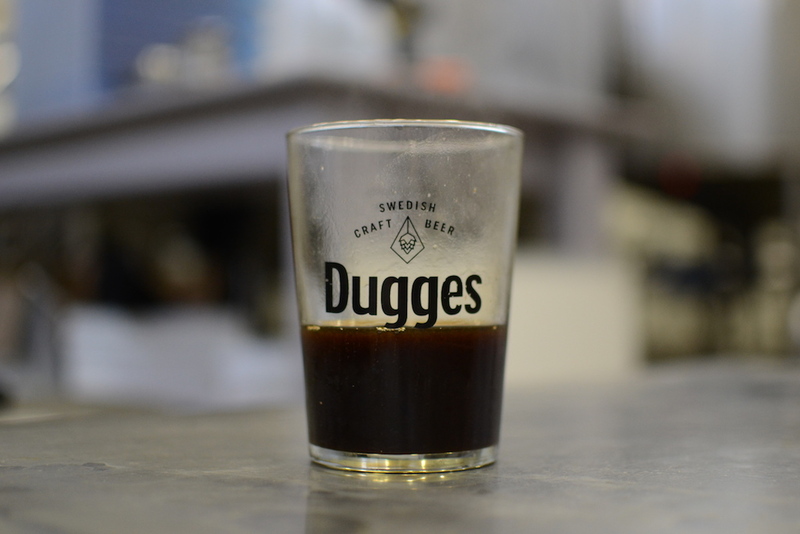 I don’t know…” Regardless, thirteen years since Mikael started, Dugges Bryggeri is a force to be reckoned with; they were recently rated in the top one hundred brewers in the world. They’re a brewery that have come into their own in recent years, producing some absolutely phenomenal, world-class beers, as well as collaborating with some of the most exciting breweries in the game. 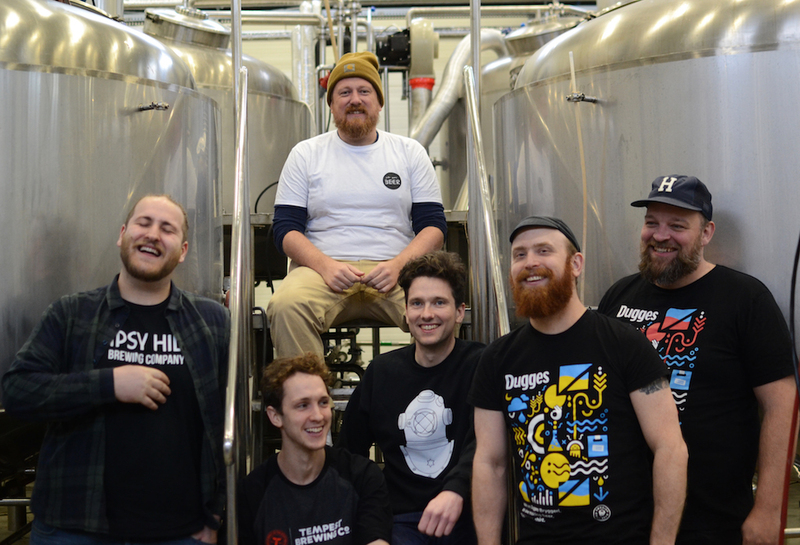 To celebrate the launch of We Are Beer, we took a brewery from each of our festival cities to Gothenburg, to brew a collaboration beer to be launched at our festivals. 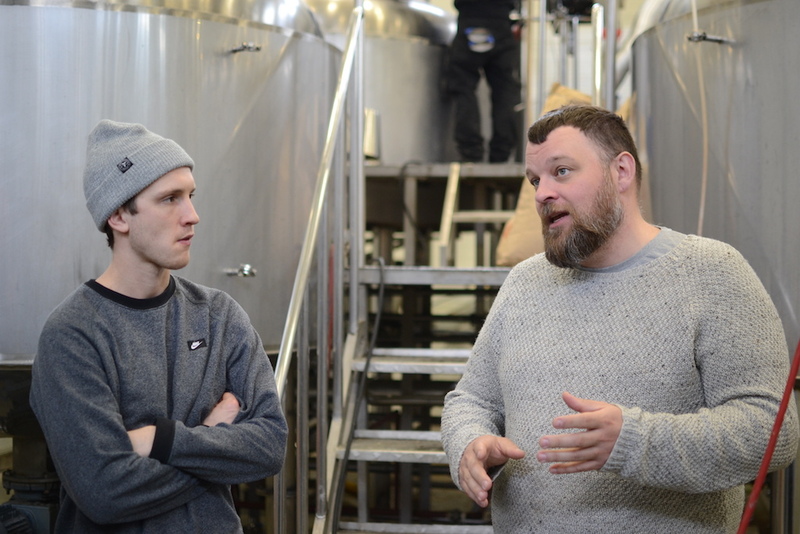 Along with Michael Wiper of Wiper and True, Doug Rowe from Tempest Brewing Co, and Mike Huddart from Gipsy Hill Brewing Co, we spent two days at Dugges, brewing and exploring Gothenburg Beer Week in between. We arrived at Dugges in the morning to a story of the brewery’s expansion: the new brewery had to be built over the previous one, and the inner building slowly destroyed. A while on, and there are still traces of the old brewery within; the modern green floor meets cracking concrete under the row of brew house vessels. A library of past brews in the hallway greets you as you arrive, and somewhat explains the need for growth – Dugges have brewed a lot of beer in their time. A few jump out as our eyes peruse the shelves: Sidamo Dimtu, Idjit, and Anagram are some of the most sought after beers out there. 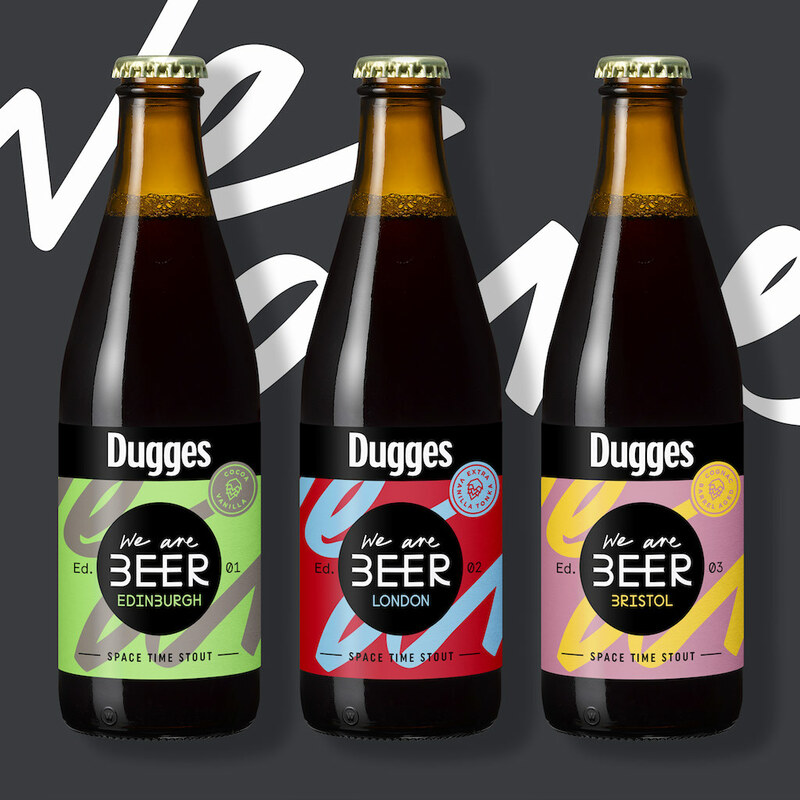 Dugges are not a brewery to be pigeonholed, turning their hand to anything they see fit with well-deserved aplomb, and rarely missing the mark – regardless of style. One ‘style’ they continuously nail, however, is the imperial stout. Whether it’s their own brew or a collaboration, their stouts over the years have earned them a steadfast reputation. 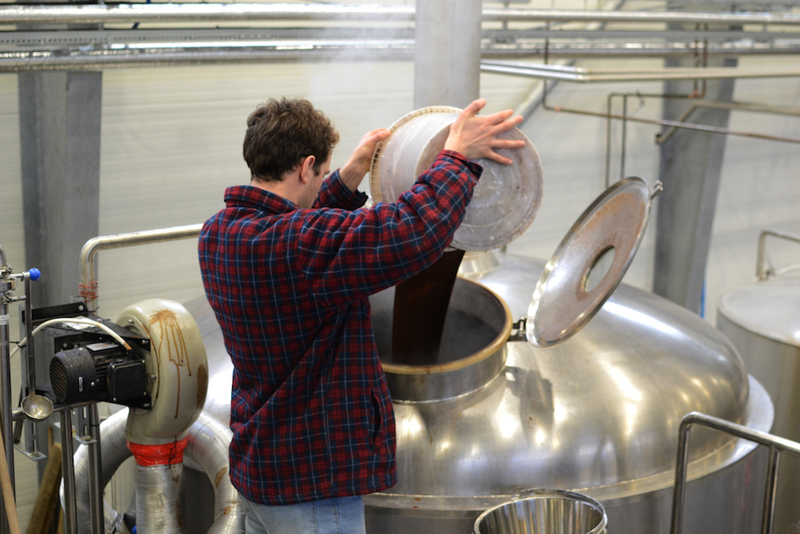 Who better to brew big ol’ stout with, then? We wanted to brew a beer that could be launched at each of our festivals, but that would be unique to each festival itself, offering something new each time – taking the drinker on a journey throughout the summer. The four breweries, and ourselves, decided upon an imperial stout, as it’s a style with myriad possibilities. The original beer, to be launched at our Edinburgh festival in May, will be a big-hitting stout, brewed with chocolate and vanilla. A classic imperial stout that brings together elements of each breweries signature stout – if you look at the collaborating breweries’ track record of the style, you’ll be as excited as we are for the results. This beer will provide the base for the later iterations. The beer launched in London in August will have tonka beans and vanilla added, developing on those sweet, spicy flavours in the original beer. This will then be aged in Cognac barrels, adding an even deeper, richer flavour to the beer, and will be poured in Bristol in September. Edition 1 – ECBF – Imperial Stout with a little cocoa and vanilla. Edition 2 – LCBF – Edition 1 with tonka beans and a little more vanilla. Edition 3 – BCBF – Edition 2, but aged in Cognac barrels.